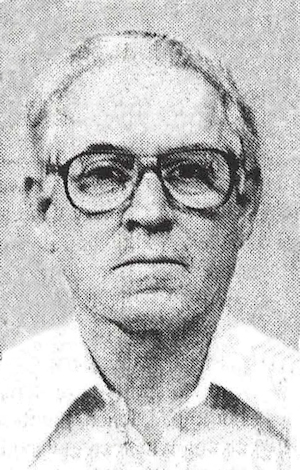 Obituary – Newton, Jack Delmar « Perry High School Alumni Association, Inc.
﻿Jack D. Newton, 71, 1ong-time Perry businessman, died at 5:55 p.m. Sunday, Sept. 29, 1996, at Stillwater Medical Center. Funeral will be at 2 p.m. Wednesday in the chapel of Brown Funeral home. Rev. Tom Westbrook and Rev. Jim Murray will officiate. Burial, with military rites, will be at Grace Hill cemetery. Memorials may be made to the Perry High School Alumni association’s scholarship fund. Newton was the son of G. D. “Ted” and Elizabeth (Woods) Newton and was born in Perry May 1, 1925. He graduated from Perry high school and the Dallas Institute of Mortuary Science. He and Velva Treadway were married in San Diego, CA, Oct. 9, 1943. In 1949, the Newtons moved to Billings, OK, where he operated a funeral home, They returned to Perry in 1953 and he operated Newton Funeral home until 1974 when he retired. Newton served in the United States Navy during World War II. He was a Perry city call fireman for a number of years, was a 50-year member of the Masonic lodge, was a 32nd degree Mason, a member of the IOOF lodge and Veterans of Foreign Wars post, and was post commander of the American Legion post. He was preceded in death by his wife in January, 1993, and his parents. Survivors include one daughter, Mrs. Richard (Faith Anne) Lemler, Stillwater; one son, J. D. Newton, Charlotte, NC; four grandchildren, three great-grandchildren and one brother, G. W. “Bill” Newton, Tulsa.